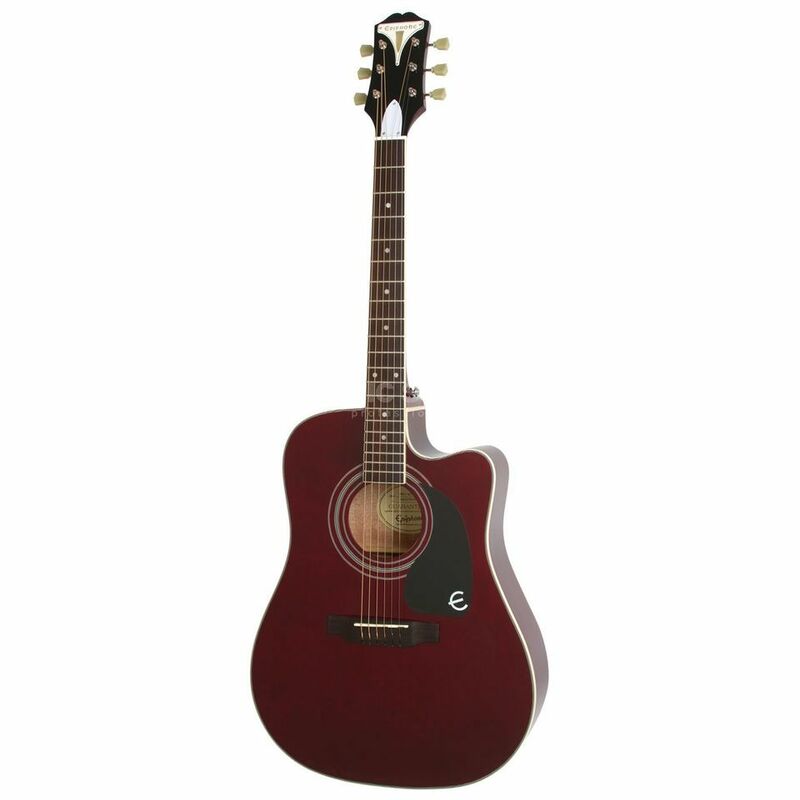 The Epiphone PRO-1 Ultra Acoustic Guitar Wine Red is a 6-string acoustic guitar featuring a spruce top, a mahogany body and neck, a rosewood fretboard and bridge, and comes in a wine red finish. The PRO-1 Ultra is ready for live performances at any time as it is equipped with a Shadow Performer preamp and NanoFlex pickup. The PRO-1 Ultra also comes with a solid spruce top to deliver a superior sound with a 5-layer ivory and black binding. The EZ-Profile neck is designed so your hand can easily form chords without feeling fatigued. Epiphone JumboPRO frets make fretting notes and chords easy as they are taller and wider than smaller frets. The PRO-1’s scale length is almost 1” shorter than most acoustic guitars, meaning that the strings are under less tension. This means you do not have to press hard to get good tone. The PRO-Ease string and fingerboard coating provides a sleek, smooth action with a reduced string noise. Epiphone’s Dual-Action truss rod allows any player to adjust the neck in both directions, which keeps the neck stable and makes set-up easier and more precise.